Police in Laos raided a worship service on Sept. 4, arresting three Hmong church leaders for holding services without permission from authorities. The pastors have been denied visits from family or church members. On Sept. 19, local police told church members they must sign documents renouncing their Christian faith or leave the village. Please pray for the church leaders and their families as well as the Christians who may be expelled from their village. 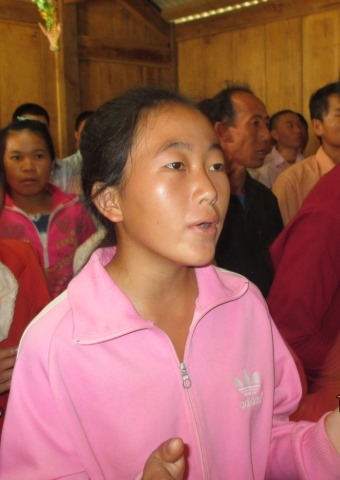 A woman worshiping at a church service in Laos.